Red Army Bet previews Day One of the Grand National meeting at Aintree, providing you with betting tips and enhanced odds. After 12 months of anticipation, not to mention a long winter of planning and preparation, the Grand National festival finally gets underway at Aintree on Thursday with three days of high-octane action to look forward to along with all the thrills and spills provided by one of the biggest meetings on the racing calendar. The first feature race on the opening day is the Betway Bowl, which goes off at 14:50 and is a Grade 1 National Hunt Chase run over three miles, for horses aged five years and upwards which was won here last year by Might Bite who was pushed all the way by Bristol De Mai. The second is the Aintree Hurdle at 15:25, a Grade 1 National Hunt Hurdle run over two-and-a-half miles, for horses aged four years and upwards which sees many of those which competed in the Champion Hurdle at Cheltenham last month testing their metal once more and was won emphatically in 2018 by L’Ami Serge. The Betway Bowl is the feature race on day one at Aintree with a number of those involved at Cheltenham featuring again including Clan Des Obeaux, who ran in the Gold Cup and finished fifth behind the eventual winner Al Boum Photo but will be keen to go better here. The drop back in trip from the extended three and a quarter miles he ran at Cheltenham to just over three miles is also likely to suit and it’s no great surprise that Clan Des Obeaux is currently the 3.25* favourite to take the big one on Thursday though he won’t be without his challengers who are more than capable of causing an upset. On in particular could be Kemboy who comes here reasonably fresh after unseating her rider in the early stages of the Gold Cup at Cheltenham so won’t have endured the demands of the others in that race and unsurprisingly is currently second favourite at 3.50* in the betting with the underfoot conditions at Aintree unlikely pose this classy chaser any problems over this distance. The Nigel Twiston-Davies-trained Bristol De Mai was second to Might Bite in this Grade One contest at Aintree 12 months ago and returns here on the back of an excellent third behind Al Boum Photo in last month’s Cheltenham Gold Cup while three-time Grade One winner Road To Respect will also line-up following his third behind Frodon in the Ryanair last month and Colin Tizzard’s Welsh Grand National hero Elegant Escape must also be respected. 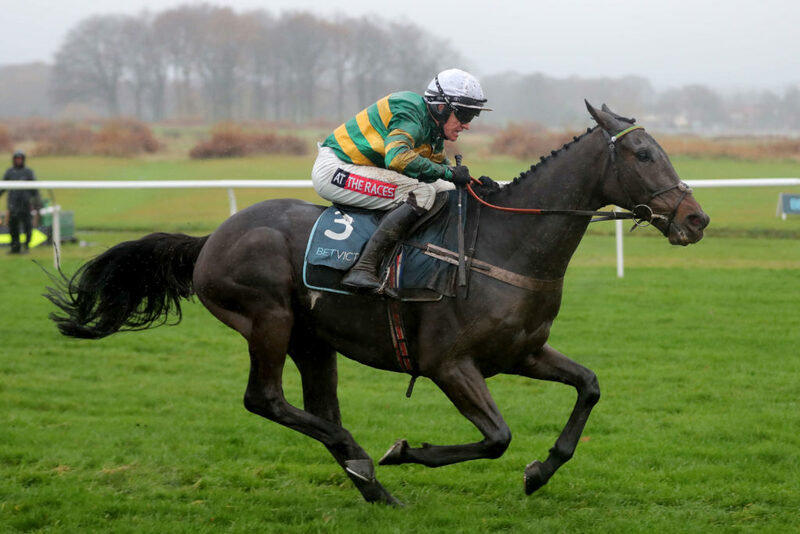 Buveur D’Air stormed to victory when he last took part in the Aintree Hurdle in 2017 and could well be the most solid option in this year’s renewal having exited proceedings earlier than anyone expected at the Chelteham festival by falling at the fourth fence in the Champion Hurdle and at 1.90* punters will be hoping that lightening doesn’t strike twice here. Competition is likely to come from stable-mate and his Christmas Hurdle conqueror Verdana Blue while Nicky Henderson will also have a third runner in the 2m4f contest in Brain Power, another who disappointed in the Champion Hurdle at last month’s Cheltenham Festival and will be looking to prove the doubters wrong on this occasion. Jessica Harrington’s Supasundae, who finished second in the race last year, and Champion Hurdle third Silver Streak make it a strong renewal of the Aintree Hurdle while the Willie Mullens challenge comes in the form of Faugheen, another former Champion Hurdle hero who was third to Paisley Park in the Stayers’ Hurdle at Cheltenham and drops back in trip here, along with Melon who finished runner-up in the Champion Hurdle for a second successive year four weeks ago at Prestbury Park. The field is completed by County Hurdle winner Ch’tibello, who is trained by Dan Skelton’s and Tom George’s Summerville Boy, who returns to action following injury and may well be best watched if not back to full fitness when racing at this level.